Will my child speak or present at every class? Yes, every student speaks at every class. This is a high energy class. Students engage in different class activities such as skits, role play, debates and much more. - We provide constructive feedback to every student and encourage them to include these fundamental skills in their daily life. - Please refer to the Home Page and Syllabus for more details. Can my child attend your program in another school (even if he/she does not go to that school)? - Yes, your child can attend if he/she can make it to class on time. Note: Our program starts 5 minutes after school ends. How will this program help my child? - Our program will help students express themselves with confidence in their personal and professional lives and be more assertive and persuasive. How does it work with students of different grades in one class? - Our class activities are designed keeping that in mind. We use that to our advantage. We give importance to both, team work and individual performances. Topics assigned are grade appropriate. The teacher gives constructive feedback to every student and encourages them to follow the public speaking fundamentals taught in our program. Late Pick Up Fee: A fee of $10 will be assessed for each five (5) minutes that a parent is late. (e.g., If the end time of the class is 4:00pm a 4:06pm arrival will result in a $10 fee). If a child has not been picked up within 30 minutes of the class ending and our attempts to contact parents and emergency contacts have been unsuccessful, the police and the County Children's Services may be called. SpeakDebate reserves the right to terminate enrollment for recurrent late pick-up. My child attended this session last year. Will my child learn anything new if they join again this year? We teach the fundamentals of public speaking at every session. Your child gets a platform to perform in front of a different audience in a non-threatening environment and an opportunity to work with different students every year. The topics for the speeches, debates, skits, group discussions and presentations differ every year. The more you practice the better and more confident you get. Practice makes Perfect! Is there a complimentary trial class or make up class for any missed classes? - There is no complimentary trial class or make up class. - If we cancel the session for any reason, we will issue a full refund. - If you cancel once the program is in session, the refund will be pro-rated (plus $15 processing fee) Effective date of cancellation will be when you notify us via email to info@speakdebate.com. Please note: A refund will not be issued if the class was conducted but your child failed to attend. - There is no cancellation fee. 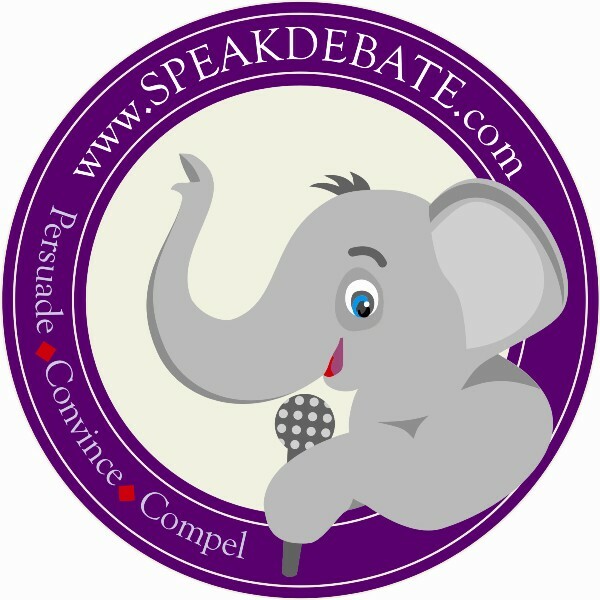 Register and pay online at www.speakdebate.com with a credit card or by check. - Your online payment through www.SpeakDebate.com is processed by Paypal secure payment system. We do not have access to or store your credit card information.